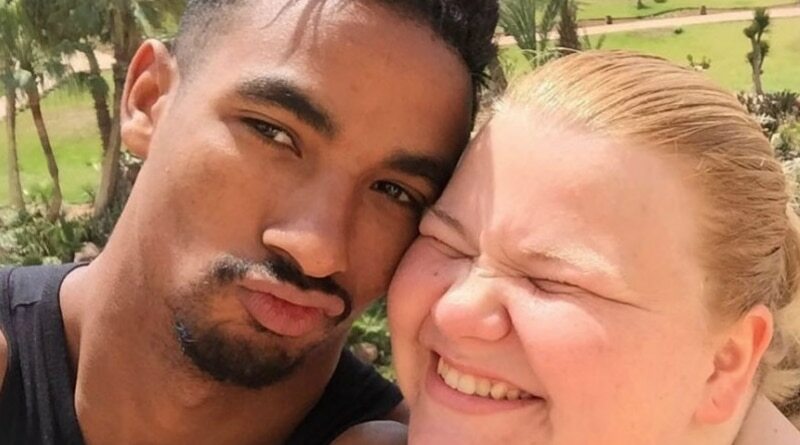 90 Day Fiance spoilers say fans get a treat tonight with Nicole Nafziger and Azan Tefou on a special episode. Tonight at 8 pm is the Nicole & Azan: Our Continuing Journey. This takes a look back at their new love in advance of them appearing on another season of the TLC hit show. Here’s what is happening with them and the special tonight. TLC isn’t heavily promoting the special episode. However, it happens tonight and invites fans to “relive Nicole and Azan’s long-distance love from Florida to Morocco”. 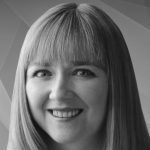 The new episode looks back over their tumultuous few years together including, as the network says: “infidelity, money problems, and cultural clashes”. By all accounts, things look good in real life for the 90 Day Fiance pair. 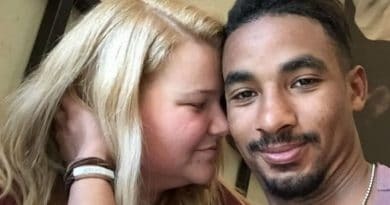 Azan Tefou (AKA Hassan M’Raouni), reportedly cheated on long distance lover Nicole. And, of course, the Florida single mom also acknowledged being unfaithful on Before the 90 Days. This new special revisits these issues among others. It looks like Sharp Entertainment might have struggled to get enough couples to fill the roster of Happily Ever After. So, they tapped Before the 90 Days couple to participate. However, 90 Day HEA is usually only those pairs that have completed the hurdle of a regular 90 Day season. But these two aren’t married, as Nicole and Azan fans know — and he’s still not made it to the K-1 stage. Despite Nicole’s man not getting his K-1 visa, her Instagram is full of hints that she’s full steam ahead on getting married despite talk that she had called things off. At the end of March, Nicole Nafziger posted a pic of herself rocking a new purple ombre hairdo with her engagement ring on prominent display (see pics above). Also, in late February, she shared a pic of adorable daughter May out front of a bridal shop. The 90 Day Fiance offspring held up a pink heart in front of David’s Bridal that said: “I found the one”. Plus Nicole hashtagged it bridesmaid dress shopping. Of course, May might have been gearing up to be in someone else’s wedding, but it might have been for her mom’s nuptials to Azan Tefou. Perhaps this will feature on the new season of Happily Ever After. If you’re a TLC superfan of the show, this is for you. 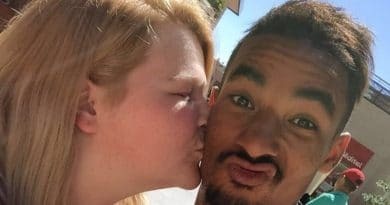 Star crossed international lovers Nicole Nafziger and her man Azan Tefou are must-watch TV tonight. 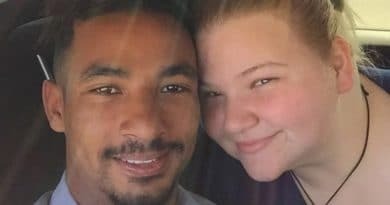 Tune into TLC at 8 pm for this special episode – Nicole & Azan: Our Continuing Journey. And come back around for more 90 Day Fiance spoilers at Soap Dirt.